What’s up everyone? Do you need a game day snack? Or something new to add to the table that’s quick and easy? I got you! 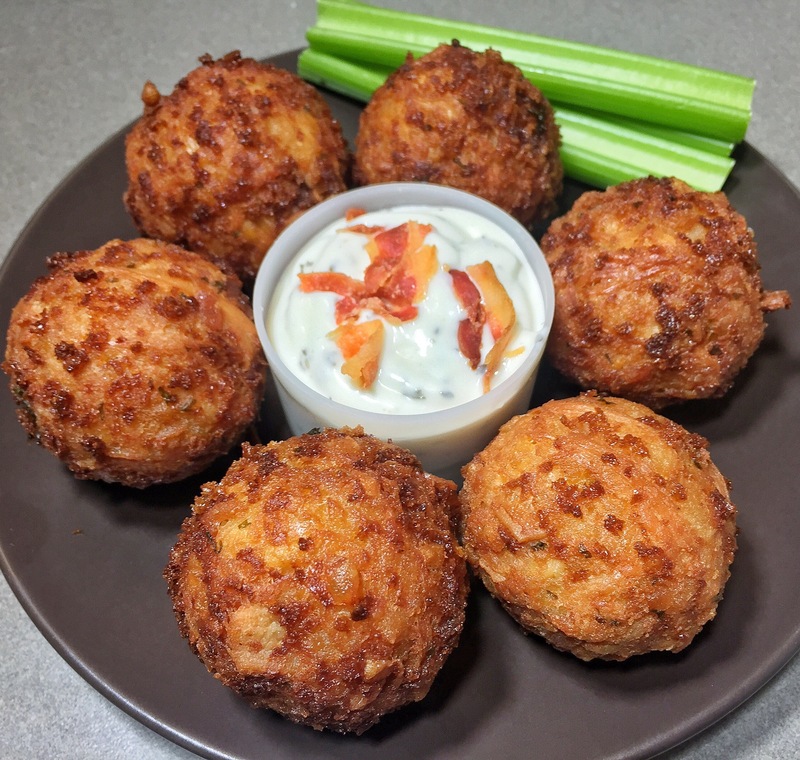 Today I’ll be showing you how to make quick and easy buffalo chicken tots! Got it? Cool lets get started! Next, deep fry your balls for 5-9 minutes at 325° until golden brown. Serve with a bacon ranch dip and enjoy! You are now the best football party host! Thank You for checking out this recipe. make sure to like, comment and subscribe for more! Next postBacon Egg n Cheese Muffin! Holy crap this looks amazing. Thanks for coming up with such a great dish… definitely going to give it a crack. PLEASE PLEASE PLEASE show the recipe for the Mac and Cheeseburger dumplings. This food looks GREAT! I came across this site by accident but I’m staying for the awesome recipes. I will definitely be trying this out for my next Netflix binge.